Leader Mieczysław Marciniak | Dystrybutor produktów związanych z rehabilitacją, odnową biologiczną, wspomaganiem leczenia i rekonwalescencją, krótko mówiąc, poprawą Państwa zdrowia i dobrego samopoczucia. 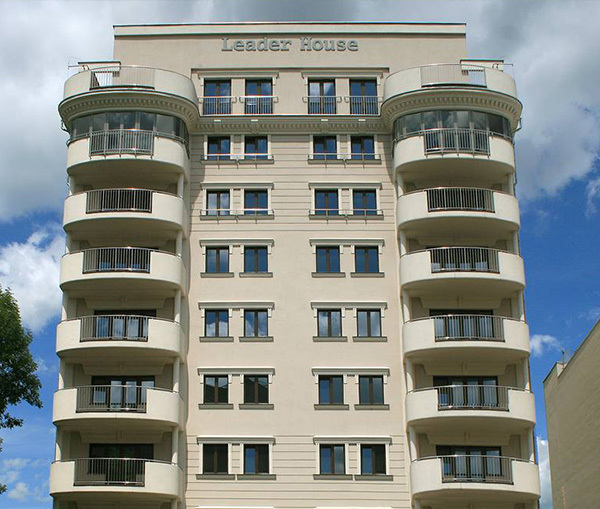 In July 2013, we completed the construction of the exclusive, friendly office and residential building “LEADER HOUSE” in the center of Łódź at ul. Jaracza 72A. LEADER HOUSE as well as the whole estate of the company having the address of Jaracza 72 and Jaracza 72A is located in a pleasant neighborhood near the Łódź Fabryczna station, in the immediate vicinity of parks and other recreational areas. 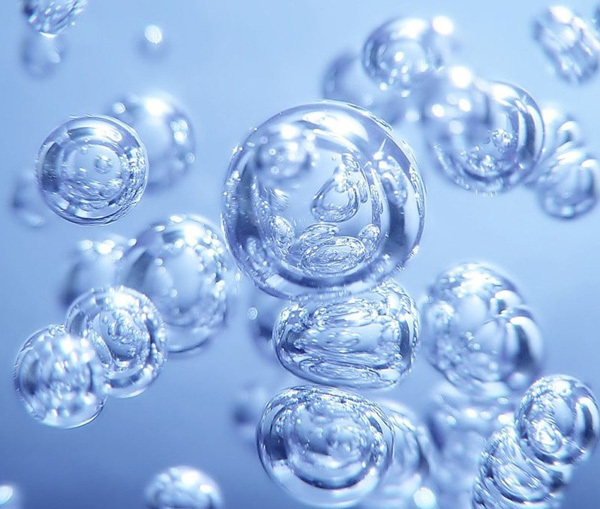 Balsan Futura – Vitaplus Hydrotherapie is a professional device for bubble bath with ozone, in which the world’s greatest achievements in physical medicine were used and a strictly controlled, therapeutic dose of ozone was guaranteed. 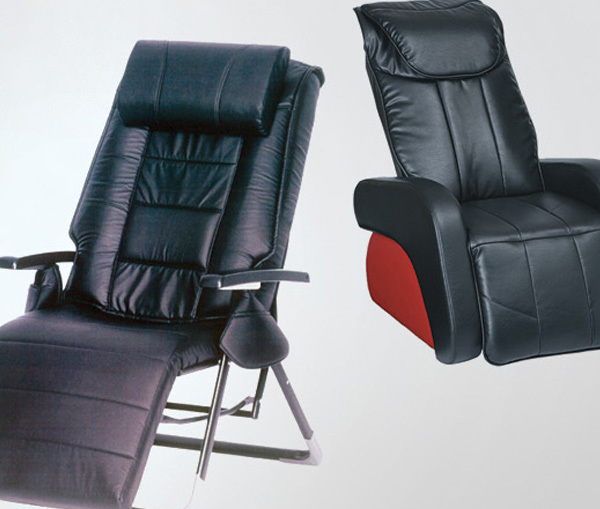 We offer equipment for mechanotherapy: Sana Plus TRL mattresses and massage chairs. Click and read more about our offer. The LEADER company Mieczysław Marciniak was founded in 1994. Its main activity is mainly the production and sale of professional equipment for rehabilitation and biological regeneration. The company has maintained and continues regular cooperation with some German and Swiss companies: HMF GmbH, EASTCON AG, SANOWELL AG, Sarna Plastec AG, Thermo Fonte AG and other renowned German partners. The owner of the company, Mieczysław Marciniak, since 1996 deals in the distribution of branded German and Swiss products for human health, and above all, the BALSAN FUTURA device – a rehabilitation device for pearl massages with ozone and pearl bath oils from the Swiss company Thermo Fonte. 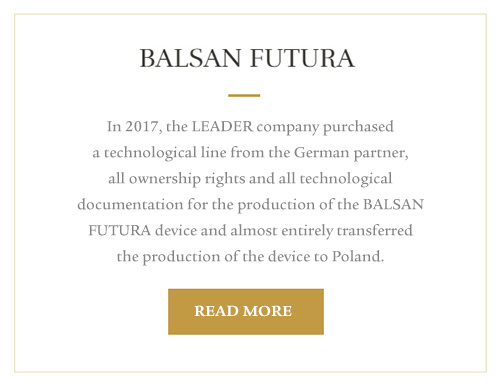 In 2017, the LEADER company purchased a technological line from the German partner, all ownership rights and all technological documentation for the production of the BALSAN FUTURA device and almost entirely transferred the production of the device to Poland. Some German collaborators still work with LEADER and produce some important components for the device in Germany and Switzerland. The motto of the LEADER company and its owner is the high quality of offered products, high quality of our clients’ service and ensuring the continuity of goods and service deliveries. 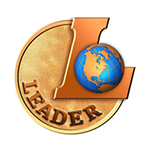 Our logo and password is always up to date: BEING A LEADER IS AN OBLIGATION.